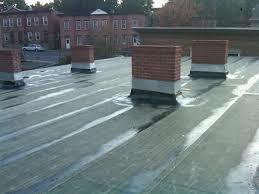 Asphalt roofing is the number one utilized roofing product on homes in America today. With recent technological advances asphalt shingles offer the best warranties at an affordable price. Most asphalt or composition shingles now carry a limited lifetime 50 year material warranty. 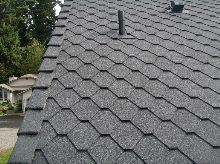 Asphalt shingles are comprised of a fiberglass mat which is completely covered in asphalt and covered with special granules which provide coloring and shadowing. We proudly install; Pabco, IKO, Malarkey, GAF, CertainTeed and Owens Corning shingles. Ask about our exclusive extended system warranties for your upcoming project. McMains Roofing installs a lot of standing seam metal roofing in Tacoma and the Puget Sound. We believe it is one of the best functioning and most durable products that also provides the best value for our regions inclement weather. If you are looking for a true "lifetime" roofing system that will really last 50+ years then metal roofing is your best option. Weather you have a steep pitched home or business or a very low sloped structure there is a standing seam panel that will waterproof your investment and add architectural beauty to your home. With today's products there are also many panel profiles that are energy efficient and qualify for the Energy Star tax credit. McMains Roofing is a very experienced metal roofing company in Tacoma, WA. You can trust us to do the job right the first time. Wood shake roofing is an incredible looking roofing system. It's important to make sure the quality of shakes you are getting is top notch as there are many products out there that do not meet the standard of shake roofs in past generations. That is where McMains's Roofing comes in. We only install premium grade wood shakes that will last decades. If you are in need of a new wood shake roof or wood shake roof repair contact us today for expert and knowledgeable consulting and estimating. Torchdown roofing is a great solution for many low slope or flat roofing systems. This is system is comprised of a rubberized content that melts into itself when a hot flame is applied. Torchdown comes in smooth black product or a colored granulated cap sheet that will add an aesthetic look to your home or business. The cap sheets also come in "cool colors" which are highly reflective and help keep your cooling costs down by reflecting solar rays. Many of these products qualify as "Energy Star" rated products as well.